Let's not be too hard on the Singapore Under-23 when the 6-0 scoreline could have on a double-digit shutout over the Philippines in the fund raising match for victims of Typhoon Haiyan graced by the presence of Her Excellency Minda Calaguian-Cruz, the Philippines Ambassador to Singapore. Slated to be the last warming up prior to the team's departure to the SEA Games in Myanmar, the Cubs did show the type of "passing-and-dominating" style of football, preached by Lions coach Bernd Stange, right from the start but faltered when it matter the most - putting the ball to the back of the net. Having most of the possession that broke down the Young Azkals fortress on several occasions, the Cubs were left frustrated on those rued chances that they created with Sahil Suhaimi missing the sitter from eight yards away in the 18th minute accounted as the biggest miss of all. Pounding on the momentum though, the duck was eventually broken in the 28th minute when Nazarul Nazari put away a cross from Shafiq Ghani to ease the pressure off the host. The scoreline maintained the way it was till the interval before it was altered in the 52nd minute with a Shafiq Ghani effort off a ball threaded in by Sahil who earlier missed another golden in the 48th minute for placing his shot wide with little resistance in front of him. The 21-year-old striker finally atoned his misses when he scored in the 56th minute to make it 3-0 that allowed the floodgates opened and saw three more goals late in the game from Hafiz Abu Sujad, substitutes Iqbal Hussain and Madhu Mohana to complete the rout. With almost everything set in the jig, what is now left will be finding the scoring touch before the test begins in a week time. 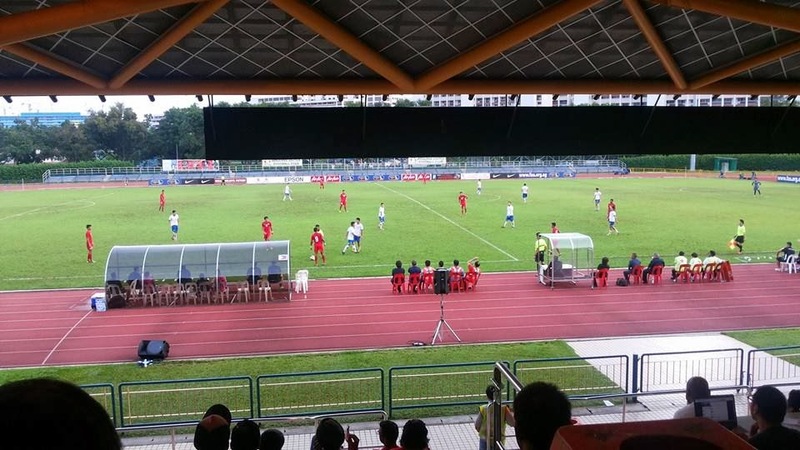 "From this match, FAS has raised more than S$50,000 for victims of Typhoon Haiyan. 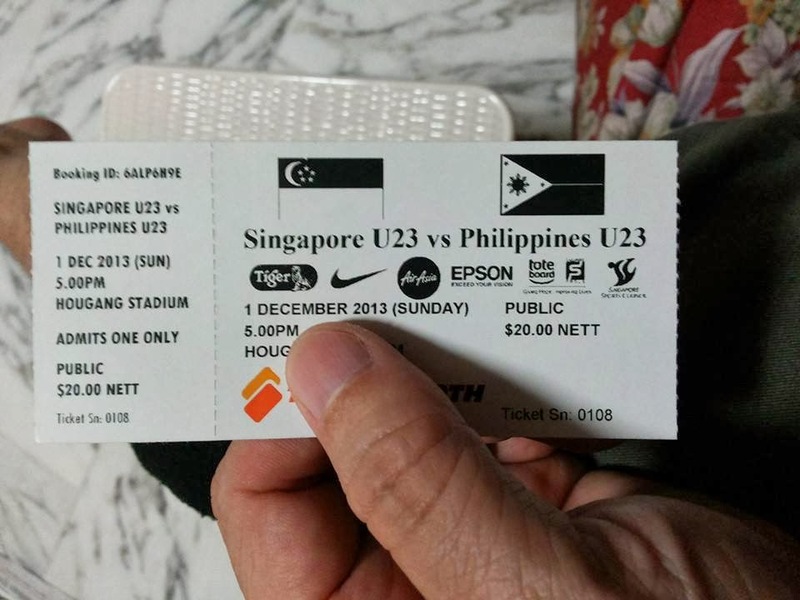 The amount, which includes ticket proceeds from the Singapore U-23 vs Philippines U-23 match, donations and funds collected from the donation tins, will be directed to the Singapore Red Cross to support relief efforts in the Philippines." 'TODAY' paper pg.38 para 3 - can anybody confirm the reporter's schedule is correct esp. vs Malaysia Dec.10? It would be good to verify with the Games' official site.